The Monkeys, which turned 10 in 2016, was the top-performing independent agency, sitting in second place overall. The majority of the agency’s points came from local awards shows, including the AdNews Agency of the Year, where it was the top-scoring agency and was named the AdNews Agency of the Year, the Effies and AWARD. Its work for Meat & Livestock Australia and Blackmores scored highly in the Australian Efffies where the shop took home the Grand Effie for its 2016 Australia Day Operation Boomerang campaign for MLA. It was also named effective agency of the year and earned more points at the show than any other agency. It’s a close race between Leo Burnett Sydney and M&C Saatchi in third and fourth spots on the rankings league table, with both doing well at home and away. Leo Burnett Sydney, led by Pete Bosilkovski, sits in third place. It did well in Spikes Asia, Cannes Lions and AWARD. Campaigns including work for Samsung, Canon and Diageo particularly captured judges’ attention as well as the Reword campaign for Headspace. Leo Burnett Melbourne, just slightly behind, saw success at the Effies and also picked up points in media categories at Festival of Media Asia. At Cannes Lions, the most awarded agencies were DDB Sydney, which picked up 12 awards placing it 10th in the rankings overall, Clems Melbourne, Leo Burnett Sydney and TBWA Melbourne. Leo Burnett Sydney and Clems Melbourne fared best at Spikes Asia, GPY&R Brisbane was the most awarded at the London award programme One Show, while D&AD handed most gongs to M&C Saatchi. M&C Saatchi also did well at AWARD with recognition for charity campaign Game of Balls. Looking at the ownership of the agencies, interestingly, independents make up the largest chunk of the Top 50 - more than any single holding company, demonstrating that the Australian independent ad market is strong and successful. Five of the Top 20 creative agencies are independents. The Monkeys led the way scoring more points than any other agency at the AdNews Agency of the Year Awards and at the Australian Effies. M&C Saatchi, one of the largest global independent networks, came in second with work including its Game of Balls for the Blue Ball Foundation doing well. The Special Group, which only opened its doors three years ago and is currently the AdNews Emerging Agency of the Year, ranked as the third-most awarded independent, which is testament to CEO Lindsey Evans and ECDs Matty Burton and Dave Bowman’s efforts. The ‘Behind The Lens’ work for Paspaley Pearls and Instagram your Fridge campaign for Lion fared well. Western Sydney University’s ‘Unlimited’ series of ads, which tell the incredible stories of past students and features Deng Adut, the former child soldier turned lawyer, won awards in Cannes and Spikes as well as the Val Morgan ACES, pushing VCD + We Collective (a creative partnership led by George Betsis, which came out of nowhere last year) into the Top 20. Data-driven independent agency Affinity’s work with Narellan Pools won it a slew of awards, putting it in the top digital agencies ranked alongside Isobar, Host and Traffik. In the media stakes, independent agency Atomic 212 was the top dog by a clear margin, scoring points at every local Agency of the Year programme. Atomic was followed by UM Sydney and UM Melbourne. Most of UM’s points came from the Media Federation of Australia’s (MFA) awards, with work for Lego and Meat & Livestock Australia faring particularly well. Starcom dominated the points won by Australian agencies at Festival of Media Asia, while OMD took home most points from Festival of Media Global. There were 94 Australian agencies that collected points from eligible awards shows in 2016. Of the Top 50, half are Sydney based. Melbourne agencies account for just over a quarter and a tenth are national. Both Brisbane and Perth account for around 6% each. The highest ranking regional shop outside of Melbourne and Sydney is GPY&R Brisbane, mostly down to points scored for the social campaign Melanoma Likes Me for Melanoma Patients Australia, which is jointly credited to GPY&R Melbourne. It earned points at AdNews, AWARD, One Show and Cannes and is the only shop based outside of New South Wales and Victoria to make the list of the Top 20 creative agencies. Clemenger BBDO Melbourne has topped the league as the most awarded Australian agency of 2016 in the AdNews Top 50 Australian Agencies Rankings. Before getting into the results of the rankings, AdNews would like to recognise that the February print edition incorrectly attributed a number of awards points totals. We apologise for any confusion. You can find an updated version below and a correction will also be printed in the March edition of AdNews. Clemenger BBDO Melbourne delivered on its mantra The Work The Work The Work once again winning more points than any other agency. 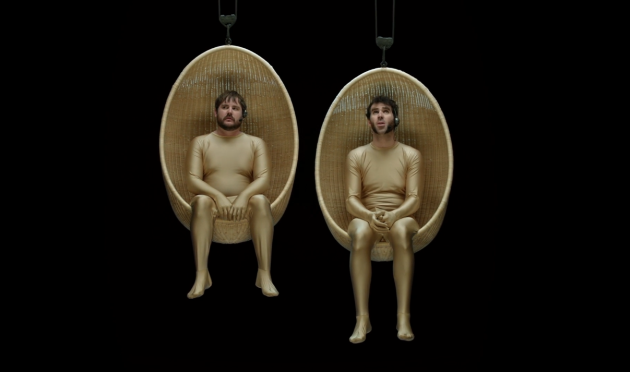 With points under its belt from global and local awards, it sits well clear of the agency in second place, The Monkeys. The Omnicom-owned shop, led by Nick Garrett, earned a healthy serving of points across the board with many coming from Cannes Lions and Spikes Asia overseas, and locally from the AdNews Agency of the Year Awards, ADMA’s AC&E Awards and AWARD. Notable campaigns and work that scored highly for the agency included Hungerithm for Snickers, The Boys for Bonds, Strings for Transport Accident Commission and Solar Stealers for Origin Energy.